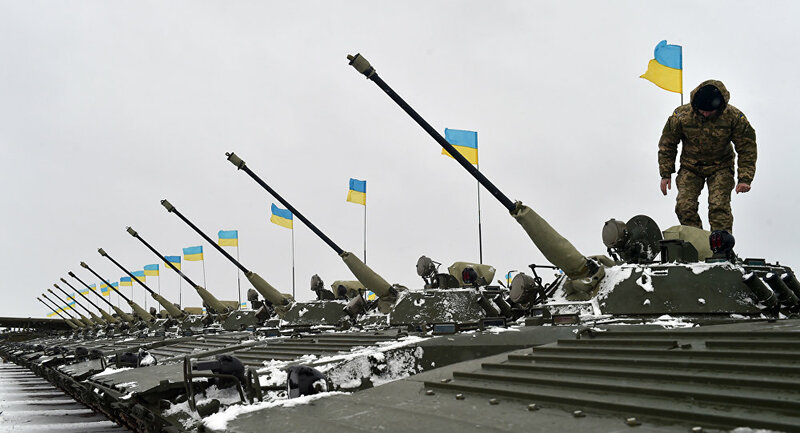 Ukraine is preparing for war - that's what analysis of the country's draft budget for 2016 reveals. Experts at the Ukrainian Institute of Socio-Economic research have described the budget as openly militarist. It won't lift the country out of the current crisis but would rather push it deeper into it, they say. Ukrainian parliament, the Rada, has been racing against the clock to approve the country's budget for 2016. President Poroshenko insists that the budget should be approved before 25 December but many observers believe it's unlikely. 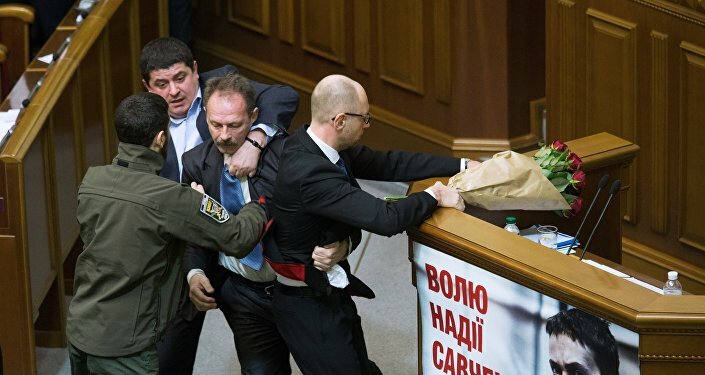 Prime Minister Yatsenyuk has promised to come to the Rada every day until all budget lines are agreed, even if this means working until the chimes usher in 2016. This won't be the first time in Ukraine's recent history. Discussions between MPs and government ministers have been marred by disputes over the new tax code and it is likely that the new budget will be adopted without the needed changes in taxation. Without the changes that could bring in the state coffers the much needed but highly elusive revenue, the budget would be unrealistic. Ukraine’s parliament failed to adopt tax amendments which will likely result in the IMF freezing $40bn funding package. ​Despite reports that MPs and ministers have found a last minute compromise regarding the new tax code, the Rada has refused to vote for it. According to Deputy Speaker Oxana Syroid MPs were given just two minutes to acquaint themselves with the draft text. Some members of President Poroshenko's block don't expect the new tax code to be introduced until 2017. Big troubles inside #Ukraine:can't pass their 2016 #budget & thus the #IMF will not give them their badly needed $17.5 #billion US #bailout. ​Ukraine's Central Bank has already warned that a delay in adopting the budget could threaten the country's "financial stability". But rushing it without incorporating all recommendations of the IMF is equally dangerous, says the Bank's Governor Valeria Gontareva. A veteran Rada MP Viktor Pynzenyk says he has seen such a "problematic" budget for a long time. He believes a lot more work is needed to make it feasible. The biggest problem with the budget lies in defense spending. Kiev admits that the government's budget strategy is based on gradually increasing military expenditure. According to a IHS report, #Ukraine had a 90% increase in defence spending in 2015 making it the largest defence budget growth in the world. ​The last budget saw the military spending rise to 90 billion hryvnias (US$4 billion). In 2016 the government aims to spend 113 billion hryvnias (US$5 billion) as directed by a decree signed by President Poroshenko on 2 December. As such these figures pale into insignificance compared with defense budgets of the world powers, but in percentage terms Ukraine aims to spend 5% of its GDP on defense, which is 2.5 times higher than NATO countries have agreed to. Kiev says it wants to fully catch-up with NATO standards by 2020, and even set an example for the less eager NATO countries, hence a higher military expenditure. A big chunk of — up to 30% — it will go towards buying new weapons and hardware. Defense industry is lobbying for ten times more. But can Ukraine really afford such expenditure? President Poroshenko warns that the country's economy simply won't cope, as it is already "at the floor plinth level". And it is difficult to see how the economy can be lifted from that floor. Experts at the Ukrainian Institute of Socio-Economic research don't see the 2016 budget as budget for economic development. The budget expenditure on consumption is 93.5% of the total amount while the funds for development stand at only 6.3%. This, to an independent analyst Vsevolod Stepanyuk, exposes a big inconsistency between Kiev's declared ideology of building a modern democratic state and the aims of the budget. If the government, as it claims, is doing everything to achieve peace [in East Ukraine], why is it increasing the "defense" budget so much, asks Stepanyuk. Is it not because it is intent on continuing the war?